Throughout this Vuelta it had been something of a mystery that an Astana team stuffed with talent were unable to put a frequently-isolated Tom Dumoulin (Giant-Alpecin) under more pressure. 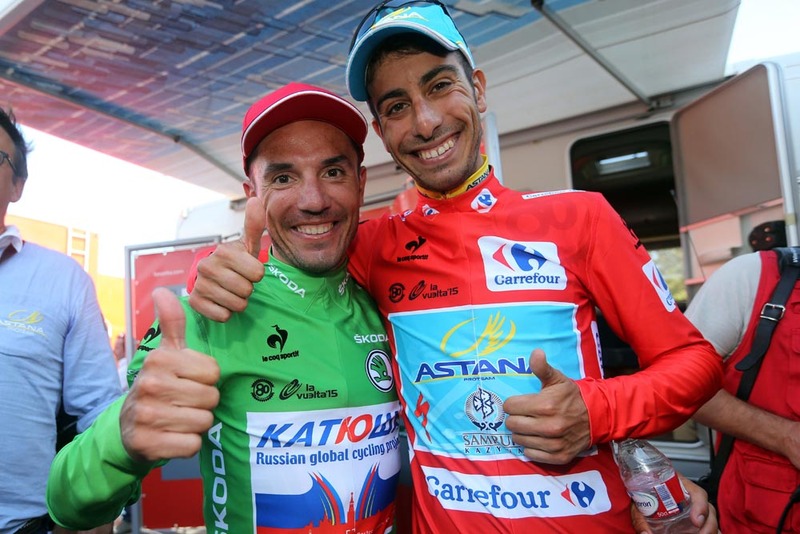 But finally, with just one day of racing left, they finally made the most of their superior domestiques to pull of a superb tactical coup and grasp overall victory for Fabio Aru. His attack on the penultimate climb may not alone have been enough to prise the jersey away from Dumoulin, as the Dutchman was catching back up on the descent. It was only when Aru’s teammates’ Luis Leon Sanchez and Andrey Zeits dropped back to pace their leader on the flat section leading to the last climb that Dumoulin – with no Giant-Alpecin teammates to support him – was distanced and ultimately taken out of contention. 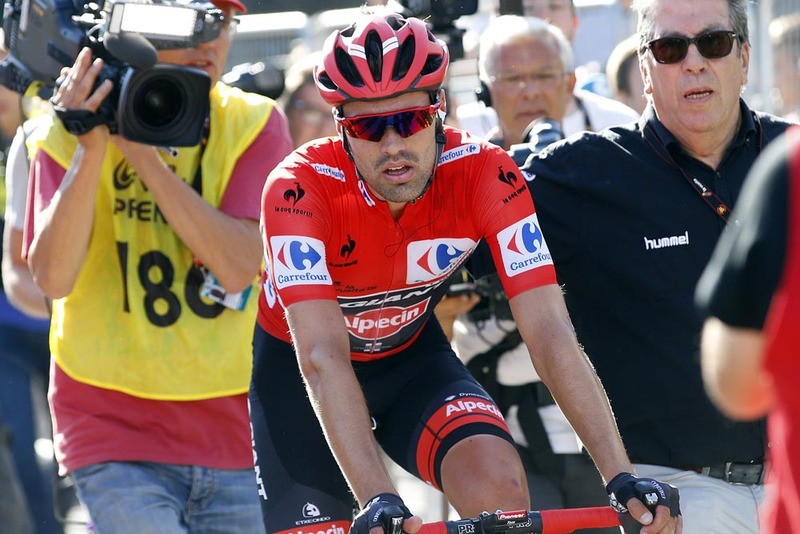 Having defied the odds for nearly three weeks by not falling out of overall contention as widely expected, Dumoulin finally endured a jour sans and lost almost four minutes to Aru. It seems misrepresentative that a rider who has performed so well and perhaps defined the shape of the race more than anyone else should eventually finish as low as sixth, but such is cycling, and such are the dynamics of Grand Tour racing. 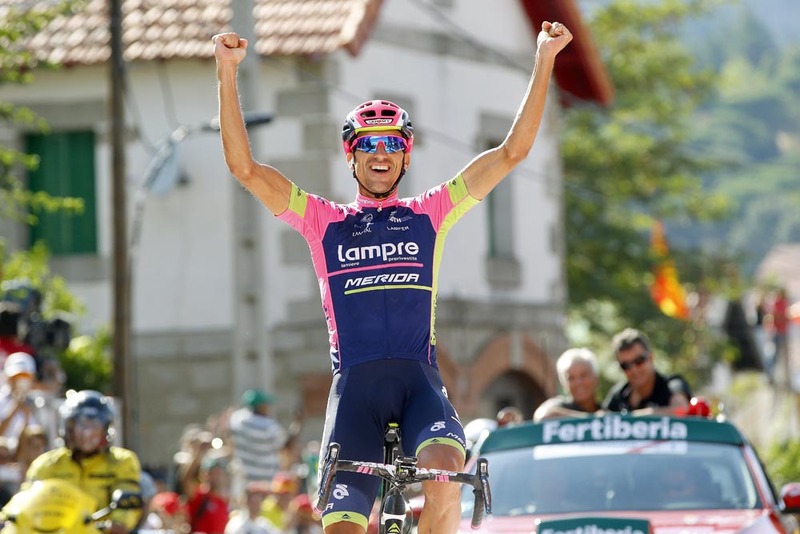 Despite the disappointment, the 24-year old will hopefully look back at this race – which included two stage wins as well as his long stints in the overall lead – as a success, and proof that he is capable of competing in grand tours. This was a fitting end to a race that has thrilled on a day-to-day basis. That the overall lead should change on the penultimate day of racing is fitting for a race that has delivered one of the most exciting GC battles in recent years. A frequent reshuffling of the favourites (remember when Chris Froome (Sky) and Esteban Chaves (Orica-GreenEdge) looked like favourites? 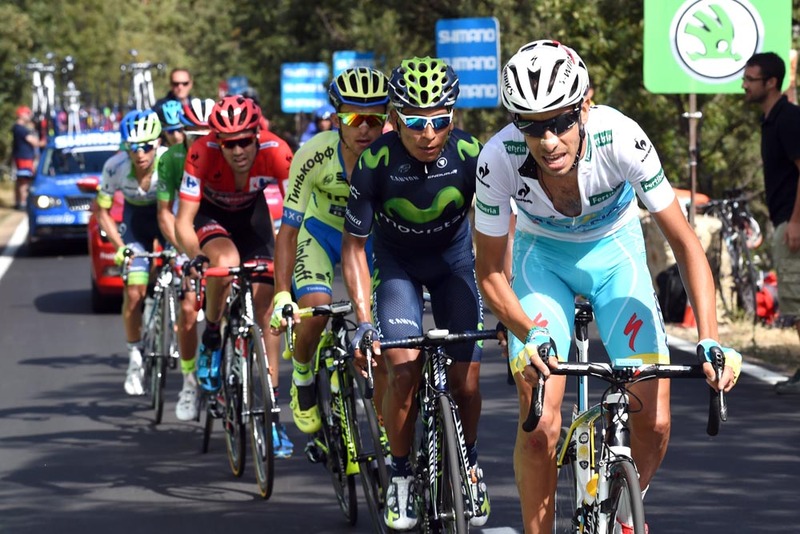 ), overall leads limited to just seconds, and finally long-range attacks from GC riders – this Vuelta has had everything. Dumoulin’s collapse also paved the way for other riders to move up on GC, and there was a late battle for the podium places among the best of the rest. Joaquim Rodriguez (Katusha) ultimately moved up to second, but not before Rafal Majka (Tinkoff-Saxo) and Nairo Quintana (Movistar) had attacked together on the final climb. Though the pair worked well together and pulled out a gap, they had to settle for third and fourth overall respectively as Rodriguez and his teammate Alberto Losada – with some help from the Astana riders – did enough to limit the gap to just 53 seconds by the finish line. Away from all the action in the favourites group, Ruben Plaza was steadily riding his way to an extraordinary stage win. When the 35-year old attacked from the breakaway group with over 100km to go, it was expected he would eventually be reeled in. But the gap to his pursuers held even as Plaza ground his way up the last couple of climbs, and he hung on to win by over a minute ahead of Jose Goncalves.